CHRISTIAN: We believe in Jesus Christ as our Lord and Savior. We are a redeemed people through a personal faith in Jesus Christ. We exalt Christ, not our experience. We trust in God, not in ritual. We seek to serve others, not self. We cultivate fellowship, not sectarianism. 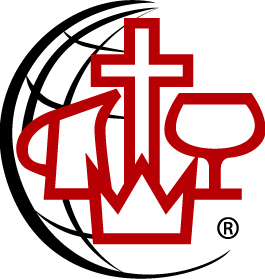 The Christian and Missionary Alliance was founded by Dr. Albert B. Simpson, a minister who was deeply moved by the spiritual needs of people in this country and around the world. He founded the first Bible Institute in America and was the author of many hymns and books. However, the emphasis of A. B. Simpson's ministry was always Jesus Christ. MISSIONARY: More than 700 Alliance missionaries are serving in 70 nations around the world. These missionaries are involved in evangelism, church planting, Bible translation, theological education, medical work, and emergency relief work. Today the Alliance has over six million members in more than 20,000 churches around the world. Our middle name is "missionary." ALLIANCE: We are known as "the Alliance" because we are an alliance of people from many different traditions who are united in our faith in Jesus Christ and our desire to make Him known to the world. We are a fellowship of people who love the Lord and love each other. We gather to worship God, grow in our faith, and reach the world with the gospel of Jesus Christ. “His divine power has given us everything we need for life and godliness through our knowledge of him who called us by his own glory and goodness” (2 Peter 1:3). Holiness is the Lord Jesus Christ Himself–so dwelling in our hearts and so walking in our steps that we shall live like Him. This can never be in a sense that will minister to our own pride or self-sufficiency, for before we can receive it, we must come to the end of ourselves and never become self-sufficient apart from Christ. Such holiness means living a life of simple dependence, moment by moment, on Christ alone. “And the prayer offered in faith will make the sick person well; the Lord will raise him up” (James 5:15). The Lord Jesus has purchased and provided for His believing and obedient children physical strength, life, and healing as freely as the spiritual blessings of the gospel. He took up our infirmities as well as our sins, and from His risen life and living touch, our faith may draw health and strength until our life work is done. Note: This symbol represents a pitcher containing oil to anoint the sick for healing that comes through obedience to God’s Word. “You will see the Son of Man sitting at the right hand of the Mighty One and coming on the clouds of heaven” (Mark 14:62). The Lord Jesus is coming personally to this earth again. It is not a mere spiritual coming, either at death or in a deeper experience of the Holy Spirit, or in the spread of the gospel throughout the world; but it is the coming of the Lord Himself as literally and personally as when He went away. “And this gospel of the kingdom will be preached in the whole world as a testimony to all nations, and then the end will come” (Matthew 24:14). The globe adds a new dimension to the long-familiar official logo of the C&MA. The four Christ-centered symbols speak of God’s gift of love to all peoples of every generation. They represent what Christ gives of Himself to His people so that He may present them to the Father without fault and with great joy. Now we give because He gave. The globe represents our mission in the world. “Freely you have received, freely give,” the Lord urged His followers as He sent them to spread the Good News throughout the land. That appeal from His heart to ours will continue until the gospel, through the efforts of His Church, has reached all peoples, and He comes again.